I thought I’d do my news round up today as I will be away for the rest of the week for a sneaky trip to Durban. I am a Durban native and studied in Pietermaritzburg so I still have very special friends down there. I haven’t been down all year so I am extremely excited to catch up with my friends. Here are three quick stoires that hit my desk this week. Enjoy! Black & white tribal prints are key for the season popped with bright colour accents for a bold summery feel! Pair tribal print with the season’s hottest new shades of cobalt blue and lemon yellow. For a dressed-down take, throw on some printed leggings with a bright tee. Keep your prints monotone and your accessories bright for a clean modern feel. 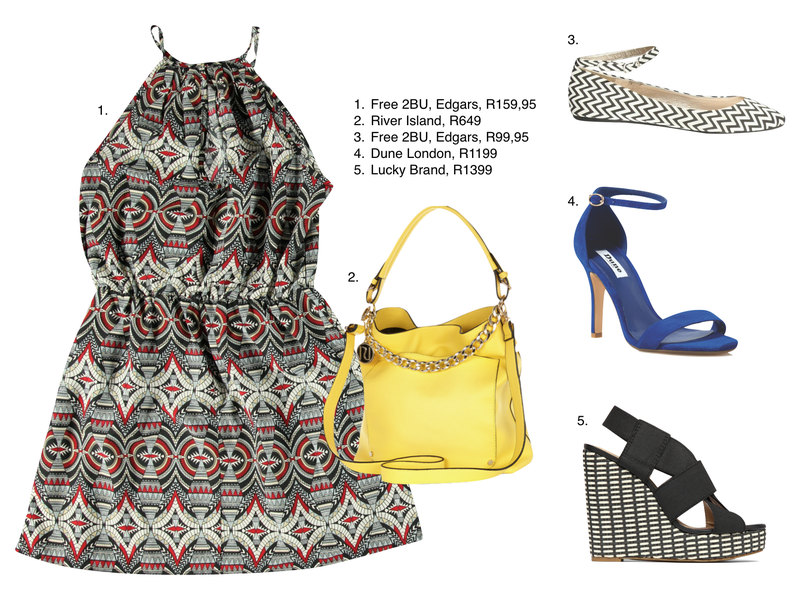 Mix and match key tribal items with bright blues, yellows and reds from Free 2BU, River Island, Dune London and Lucky Brand to discover your own Black & White Tribal & Brights look this summer, all exclusively available at Edgars. Shop these items from 13 October 2014 using your Edgars Thank U Store Card and buy on account with six months interest free credit, while earning Thank U points to spend. complete without a girl’s most essential accessory. embodying sophistication while accessorized with the season’s hottest handbags. chooses to wear throughout the season. and GUESS Accessories SA stores from November 2014. 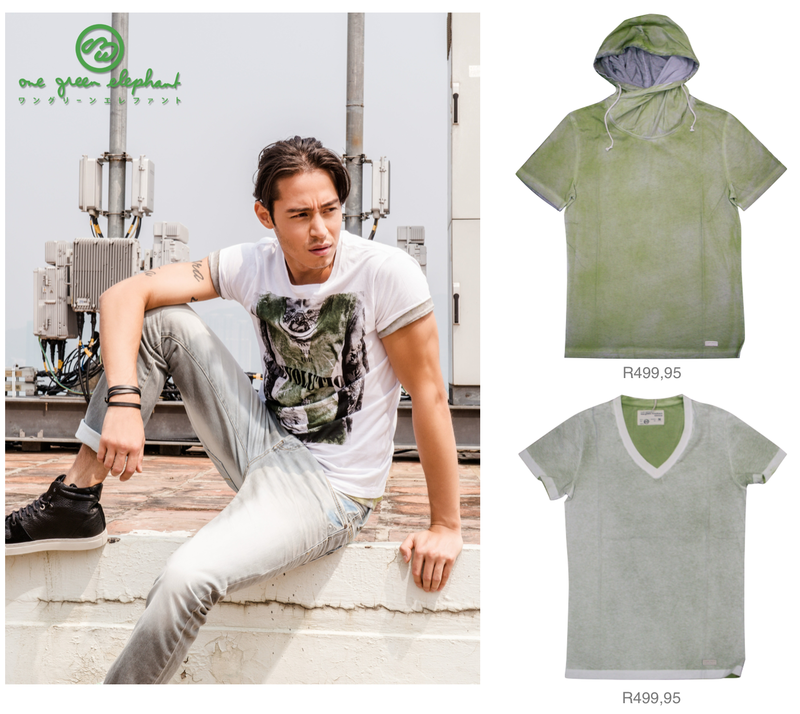 One Green Elephant, the Japanese/European brand specialising in innovative denim and fashion apparel, is opening its first ever Pop Up Shop in Eastgate Mall on the 24th September 2014. Customers will receive 50% OFF all merchandise. This promotion will start on the 24th September and continue while stocks last! 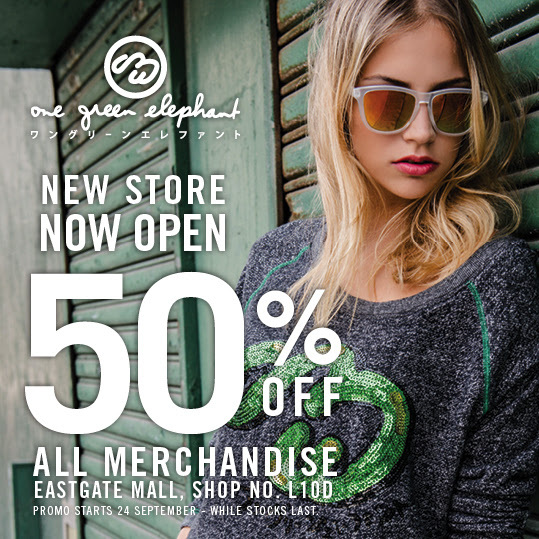 Get to Eastgate this week and enjoy the best promotion on One Green Elephant ever! OhONEONE: Online Store NOW LIVE!